The Science of Mind is the study of Life and the nature of the laws of thought; the conception that we live in a spiritual Universe; that God is in, through, around and for us. * The Greek Philosopher Plato developed the philosophical concept of transcendence. * The verb "to transcend" means "to go beyond" something. In Transcendentalism, it meant that there are truths that go beyond, or transcend, proof. These were truths that were simply "known" but could not be proved with logic. These truths were a private experience of faith and conviction. * The German philosopher Immanual Kant gave Transcendentalism its name. * Kant, with other German thinkers, influenced the views of some important English writers; the poet-critic Samuel Taylor Coleridge and William Wordsworth, and the Scottish philosopher-historian Thomas Carlyle. These three, especially Carlyle, exchanged ideas with Ralph Waldo Emerson of Concord, MA. * It was Emerson who brought the movement to New England and nurtured its growth in this country. * American Transcendentalism thus began in the 1840's as Emerson interacted with Longfellow, Whittier, Oliver Wendell Holmes, Thoreau and Lowell. This influential group of people were all born within a few years and a few miles of each other in New England. * Transcendentalism was the beginning of American interest in Oriental thought. Emerson and his friends read the Hindus, Confucius, Buddha and the Mohammedan Sufis. The Bhagavad-Gita was very influential to Emerson. * Transcendentalism became an eclectic composite of Oriental, Greek, English, French, German, and native thought. * Transcendentalism is a belief there is a higher reality and greater knowledge than that manifested in human mind. It divides reality into a realm of spirit and a realm of matter. This division is made by many of the great religions of the world. 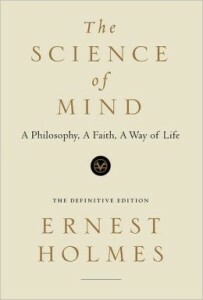 Major Influences in Science of Mind There are three creative thinkers that greatly influenced Ernest Holmes (1887-1960) as he moved along his spiritual path and developed Science of Mind. They were * Ralph Waldo Emerson, the distinguished New England philosopher and essayist (1803-1852) * Thomas Troward, an eminent British jurist and metaphysician (1847-1916) * Phineas Parkhurst Quimby, a mental healer (1802-1866) * Emma Curtis Hopkins, a greatly respected American teacher and mystic, often called the "teacher of teachers" (1853-1925) Ralph Waldo Emerson Emerson's entire life was one of spiritual exploration. He has been called "the Father of New Thought" because he was instrumental in gathering together a group of intellectuals, writers and philosophers to explore the transcendental philosophy. Emerson entered Harvard College on a scholarship at age 14. He became a Unitarian minister. He wrote eloquent essays on many subjects. Emerson thought every man is an individual-ization of the one and only God. He thought that at the center of our being we are all operated on by spiritual laws which execute themselves. Emerson is not thought of as a New Thought writer, but rather as one of the sources from which New thought drew a great deal. Reading: Emerson's eloquent essays that particularly reflect Science of Mind thinking are Self-Reliance, Spiritual Laws, Compensation and The Over-soul. Ernest Holmes and Emerson Ernest Holmes was a spiritual seeker. Born in 1887, he was primarily "home schooled" by his mother, who was an ardent reader. In his teens, Ernest began a search for the similarities in all the worlds' religions. He read extensively about all of them. He was deeply moved by the work of Ralph Waldo Emerson Holmes said, "Reading Emerson is like drinking water to me". Thomas Troward Thomas Troward was born in the Punjab, India in 1847, educated in England and returned to India to become a Divisional Judge in the Punjab, which is now Pakistan. His chief interest lay in the field of religion. He explored the Indian religions and studied comparative religions. He studied Indian lore and sacred writings as well as Hebrew and other ancient scriptures. He was an ardent student of the Bible and was drawn to Emerson's writings. The concept of reincarnation was a strong influence in his thinking He associated himself with the Higher Thought Centre in England and became a noted leader of British New Thought. Troward was interested in formulating a theory of mental healing. When he was asked to label it, he called it "Mental Science ". Troward began by examining the universe. He saw things that seemed to have a quality of livingness and some which did not. Since the difference was not always sharp he concluded that there are degrees of livingness. Further searching led him to conclude that what makes the difference is intelligence. Reading: Trowards The Dore Lectures contains a logical, intellectual explanation of this rich philosophy. Ernest Holmes And Troward Holmes discovered Troward's work in 1914, two years before Troward died. He said "This is as near to my own thoughts as I shall ever come". He began speaking on Troward's writing to growing groups when he was 25 without realizing his lifetime ministry had begun. He totally absorbed Troward's ideas and deeply linked them with his own thinking. 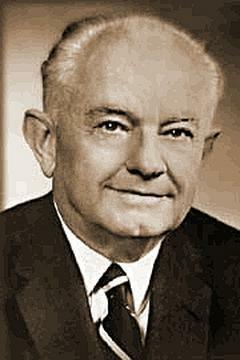 He was one of the main channels through which Troward's ideas reached American circles. Phineas Parkhust Quimby (1802-66) Phineas Quimby was an American mental healer whose ideas greatly influenced the New Thought movement, a religious-metaphysical healing group. He originally studied mesmerism and became a practitioner of hypnosis. He claimed that he could heal by mere suggestion. Quimby believed that illness originated in the mind and was created by erroneous beliefs. He taught that when a person opened their mind to God's wisdom, they could conquer any sickness. One of his patients and disciples was Mary Baker Eddy, the founder of Christian Science. When Eddy moved into her own work she denied Quimby had made any contribution to the theory of Christian Science. Emma Curtis Hopkins Emma Curtis Hopkins, more than any other single teacher, influenced New Thought. She was born in Connecticut in 1853. She was educated at Woodstock Academy there and remained for a time as an instructor. In 1882, she went to Mary Baker Eddy (founder of Christian Science) because she was ill. She was healed. She then devoted herself to the study and growth of the Christian Science approach. She became a practitioner and served as editor (1884-85) of the Christian Science Journal. Within another year, her independent quest for spiritual truth created an impossible situation between the two religious thinkers and she began to explore other metaphysical writings. In 1886 she left Mrs. Eddy and moved to Chicago where in 1887, she established the Christian Science Theological Seminary, an institution founded to promote teachings similar to those of her mentor. She quickly won a following. She branched out and taught classes in New York, San Francisco, Kansas City, Boston and elsewhere. Among those influenced by these lectures were * Melinda Cramer and Nona Books, co-founders of Divine Science; * Charles and Myrtle Fillmore, who established the Unity School of Christianity. * Harriet Emilie Cady, author of Lessons in Truth; * Annie Rix Militz, founder of The Home of Truth; and * Ernest Holmes, founder of Religious Science. Because her influence was so pervasive in these New Thought organizations Emma Curtis Hopkins came to be called the "Teacher of Teachers." 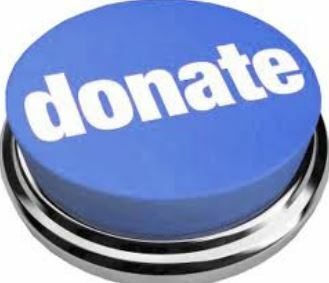 Unity, Divine Science and Religious Science are the three largest organizations within the present-day International New Thought Alliance (INTA). Emma Curtis Hopkins was a genuine mystic. She emphasized this element in all her teachings and writing. She drew upon the Bible, the non-Christian scriptures, and the works of the world's great philosophers and saints in her teaching. Her mysticism was a very potent influence upon Ernest Holmes. She spent time in London, where she had contact with Thomas Troward and other British leaders of the New Thought movement. She eventually ceased using the name Christian Science and began teaching privately. Ernest Holmes And Hopkins Ernest Holmes studied with Emma Curtis Hopkins in her later years when she was teaching only individuals. He felt she was among the greatest of the mystics. Reading: Hopkins' Scientific Christian Mental Practice is a powerful treatise on mental healing. Who is Ernest Holmes? Ernest Holmes is the founder of the International Religious Science movement which is recognized as one of the leading viewpoints in modern metaphysics. 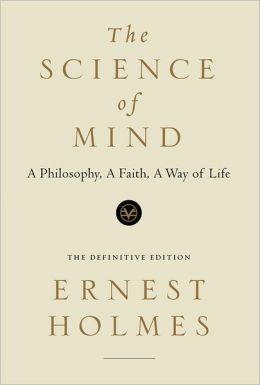 Science of Mind is a spiritual philosophy that easily applies to everyday living while also expanding the student's sense of their relationship to God and their place in the Universe. Known to his family as the "question mark", Ernest Holmes was a passionate seeker of knowledge. He embarked on a path of independent thinking at age 18. 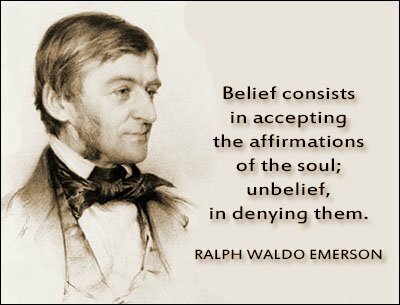 He was deeply moved by the work of Ralph Waldo Emerson. He then found Judge Thomas Troward in England who further defined elements of the philosophy that was formulating in his mind. He began teaching Troward everywhere he could. He was also touched by the work of Emma Curtis Hopkins who had begun to influence other great "New Thought" leaders. He wrote Science of Mind which is used as a textbook in Religious Science churches. * Began lecturing on Troward 1916 * Published his first book Creative Mind * Published The Science of Mind 1926 * Established the Institute of Religious Science 1927 * Founded Science of Mind Magazine 1927 * Revised The Science of Mind 1938 * Reorganized the Institute to become the Church of Religious Science 1953 * Dedicated Founder's Church 1960 * Made his transition 1960 * Church became known as United Church of Religious Science 1967 Reading: The Science of Mind, Living Science of Mind, This Thing Called You, This Thing Called Life, What Religious Science Teaches and many more. Excerpted with permission from Getting Your Feet Wet in Science of Mind by Cara Lumen, RScP. Available in print and downloadable versions at cara@caralumen.com. Spanish Version is available.